Welcome to the Healthy Living Journal here at Anglesey Today. If you are for healthy lifestyle then being on this island is a great start. So I thought to myself, how about offering readers a healthy living food diet to go with the clean air, miles of beautiful green countryside and azure blue sea views. So I would like to present Jan Walker, a local professional nutritional therapist who has wide experience of helping her clients with varying health challenges. I have asked Jan to contribute to Anglesey Today, offering readers her vast knowledge on this important subject. So whether you may be looking for a nutritional solution to arthritis, osteoporosis or insomnia, Jan will be here to offer you her wisdom. So, Jan, over to you! Are you looking for an Anglesey Care Home? See here for more information. Jan Walker SNHS [Adv. Nutr], Dip Nutr. Sc. I live on the beautiful Isle of Anglesey in North Wales in the United Kingdom with my husband Graham and Border Collie Sam. Graham and I are enthusiastic vegetarians and enjoy trying out and compiling new recipes to dispel the myth that vegetarian food consists of pasta with tomato or cheese sauce. I lived for 20 years in South Africa with my first husband, John, who sadly died very suddenly in 1998. He had encouraged me in my pursuit of knowledge of the 20th Century health disorders and how to help people self manage their own healing. Graham has taken over that support role and keeps me plied with herbal tea and home made bread sandwiches when I sit at my computer doing endless research. He also acts as Devil’s Advocate by peering over my shoulder and offering suggestions – some of which are welcomed but some receive a sceptical glance from me from over my spectacles in mock derision! When I embarked on a Diploma in Counselling Skills at the Durban Campus of the University of South Africa [UNISA] in 1994 little did I realise that it would result in me pursuing my lifelong interest in nutrition and health. During counselling sessions with the Durban branch of the South African National Anxiety Disorders Support Group I observed an unmistakable connection between clients’ improvement and correct nutritional attitudes. I also realised that patients suffering from other health disorders do not receive nutritional advice from GP’s, who happily write out prescriptions to alleviate symptoms but do not address the underlying cause. A Diploma in Nutritional Sciences followed in 1995 at UNISA following which I established a nutritional consultancy and in 2004 after completing my Diploma in Advanced Nutrition I embarked on a Higher International Diploma in Nutrition. 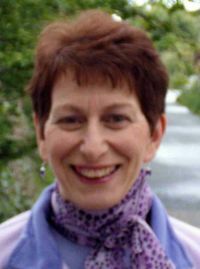 I have also completed diplomas in Life Coaching, Stress Management and Herbalism that support my work as a consultant Nutritional Therapist throughout the UK. As resident columnist for the North Wales Newspaper group and a regular contributor to national newspapers and radio features I am helping to raise awareness of the importance of good nutrition to achieve healthier lifestyle. Please find below the links to a selection of Jan's latest articles on healthy living. We hope you find them interesting. If you would like to ask a question about a health challenge or food diet issue, please fill in the box below, and we'll make sure Jan gets a reply to you. Pamper yourself and revitalise your mind and body with an Anglesey spa break at Tre-Ysgawen Hall. Articles by Anglesey Dentist, Dr Mike Williams, from Beaumaris Dental Health Care. See also article below by Dr Stuart Ferraris on the importance of personal oral hygiene. Dr J D Lewis from Benllech discusses how acupuncture can be a valuable compliment to mainstream medical intervention. Read more here. Dance Yourself Fit and Healthy! Can You Slow Down Aging By Watching Your Diet? Is Holistic Health Care Useful?